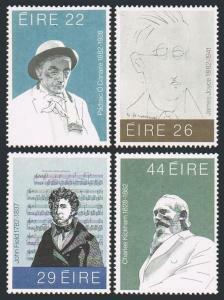 Ireland 521-524,MNH.Michel 468-471. Irish writers,composers,Portraits,1982. 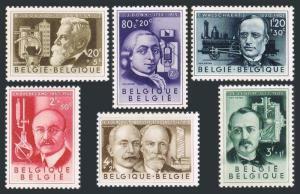 Ireland 521-524, MNH. Michel 468-471. Padriac O'Connaire, 1882-1928, writer. James Joyce, 1882-1941, writer, poet, portrait by Brancusi. John Field, 1782-1837, composer and pianist. Charles Joseph Kickham, 1828-1882, journalist, writer. Portraits by Colin Harrison. 1982. $0.05 shipping for each additional eligible item you buy.Here are the instructions for purchase and payment of shipping costs for multiple items: Purchases up to $60.00: first class mail will be used; purchases above $60.00 require mail with tracking number (insured mail inside US, expedited: registered or express international mail). Buyer pays the mail fee. 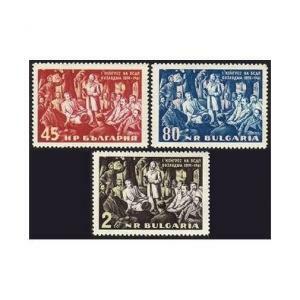 For international purchases over $60.00 buyer pays the $18.00 or $19.00 for oversize item. Warning for the buyers from Eastern European countries, Russia, China, Middle East, South Asia, Latin America, Africa exclude RSA, the purchases over $30.00 require expedited mail. 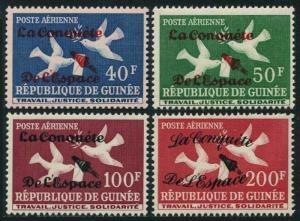 Guinea C35-C38,hinged.Michel 145-II-148-II. The conquest of space,1962. 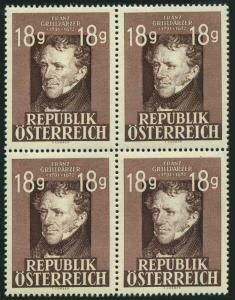 Austria 490 block/4,MNH.Michel 802. Franz Grillparzer,poet.1947.